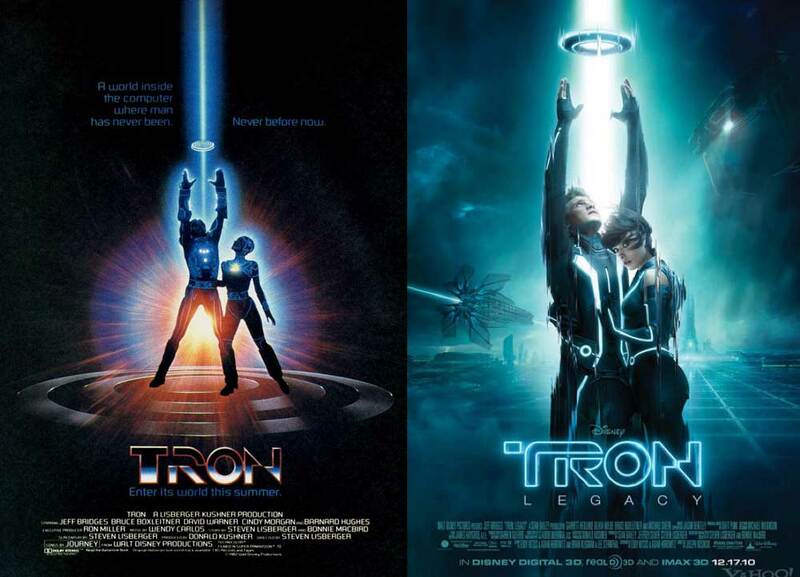 I'm going to go ahead and throw these two films together because in many respects the new film is a cooler, faster, visually and musically stunning remake of the original TRON. However, when looked at together, they provide a valuable commentary on where technology has come. I will start by saying that I loved TRON: Legacy. I finally got to see it last week after months of listening to the soundtrack on repeat, which is still one of my favorite parts of the movie. I love Daft Punk's epic mix of electronic and symphonic sounds and how well it matched the movie both in feel and intensity. It's definitely going to stay in my playlist for awhile. Music aside, it was a fun film, filled with beautiful and minimalistic images and production design as well as adrenaline-pumping fight and chase scenes. The story was definitely basic and secondary to the visuals, but the same could probably be said of the first TRON. They aren't made to provide you deep characters and moving dialogue. They are there so you can say "Wow! I have never seen anything so cool! Can I drive a lightcycle?!" And TRON: Legacy certainly capitalized on all of the favorite vehicles and places from the first film. And Jeff Bridges. Who doesn't like the Dude? However, these films also go much deeper than you would think if looked at closely. While the second film was definitely more engaging for a modern audience, I couldn't help but feel like it was missing something of "the awesomeness" of the first film. I couldn't quite place it at first either, because it seemed like just about everything from the story of the first was present here, how could it be any different? And then it came to me. It was how each film treated the relationship between the digital world and our own. 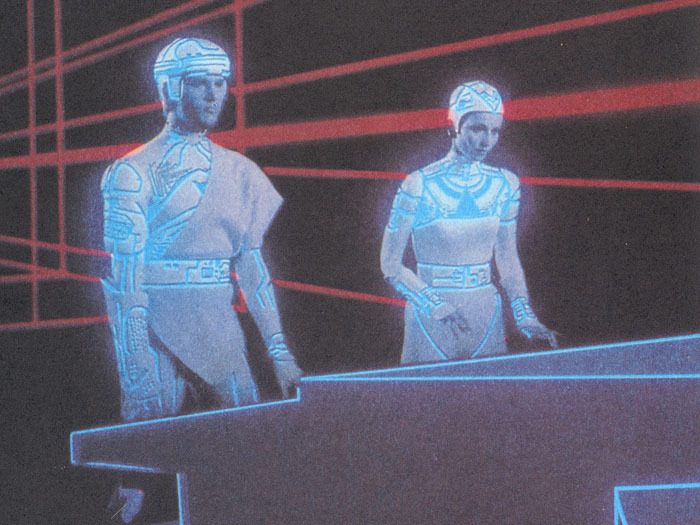 The first TRON had the two realms very tied together. You saw them typing in code and how that affected the programs. There was a clear tie to how the users interacted with the realm and how events in the grid related to events above. The user had immense power in the realm and ruled the programs. And all of that was missing in this film. Or at least it appeared to. The grid seemed to be very much it's own entity, perfectly self-sufficient without users. In fact, users were very much an outside presence, and didn't have as much power over the programs. This seemed very odd to me, and as a very techie person, I missed that. At first I thought it was just so that more of the audience would understand what's going on, but then I realized the film was merely reflecting the technology of today, much as the first film did in the '80s. Our computer world today is no longer dependent on our code-writing abilities. In fact they run almost completely without our input. In many respects, the programs themselves dictate what we do, no longer do we have to tell our computers everything. The user has been relegated to a less powerful position, and the user who delves into the "grid" to change things are few and far between. And those who created this grid are realizing they never could have known the outcomes of their actions and are creating a world they hardly understand. What they originally sought is no longer what we need, but how can it all be separated? Can the direction be changed? The threat is no longer users entering the grid, but the programs leaving it and coming over here. We are terrified of the technology we have created, and we don't want it to rule us, yet it seems inevitable. Unless it's creator is willing to sacrifice themselves to destroy it. Our only hope is that there will be "isos" who can bring the cures and knowledge we need to save us. Yes, there is a sharp critique of our technology and dependence upon it in there. But the solution isn't for us to get rid of the technology. The film ends with a touching enjoyment of the sun and nature on the way to a new direction for technology. We must use better technology to save a crumbling world, but we also must never forget that we are people here, outside of the grid. This is our place, and being plugged in to the grid for too long would mean that we would miss what is truly important in life here. The grid should always be something that helps mankind, but it can never fully replace real life.